You can already use your Google Chromecast to watch Hulu Plus, Netflix, and HBO Go, but soon Google is expected to allow even more third-party app compatibility with the streaming device. 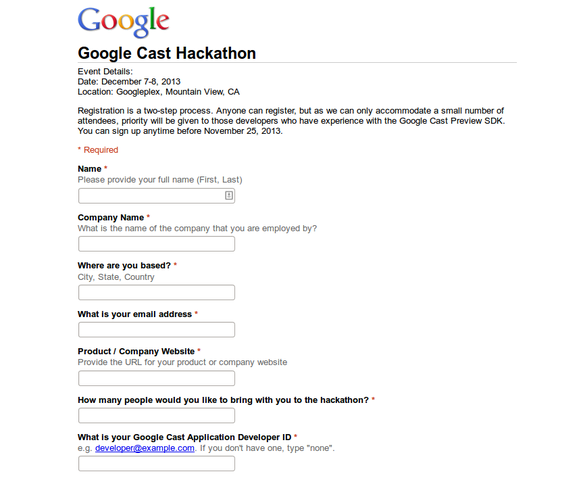 A number of Android developers are reporting they have received invitations to attend a Cast-centric hackathon at Google HQ from December 7-8. During the event, Google will reportedly discuss the "upcoming release of the Google Cast SDK [software development kit]," according to an email from Google posted online by several developers. Google Cast is the search giant's screen-sharing technology that powers Chromecast. 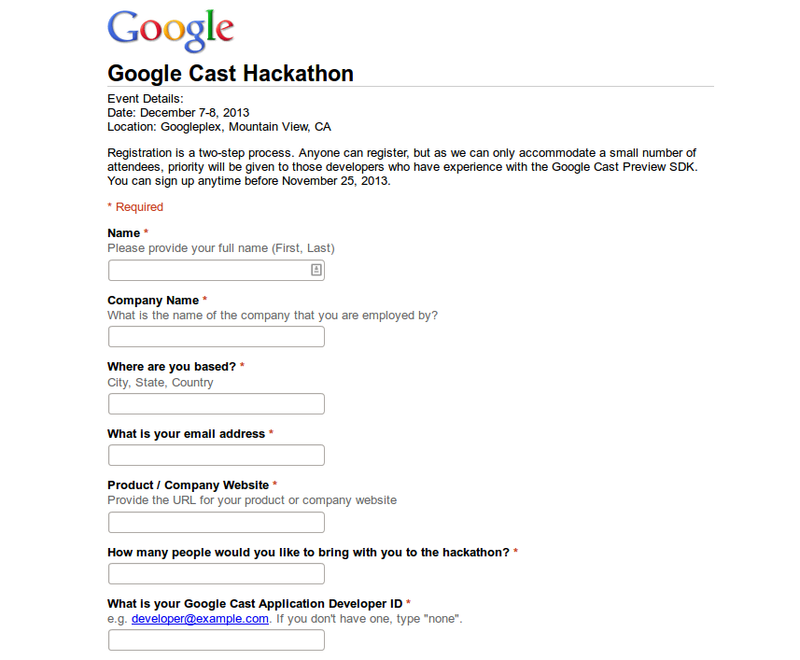 Google also has a live registration page on Google Drive for the unannounced "Google Cast Hackathon." We have asked Google for more details about the event. Chromecast-compatible apps are not typically standalone programs, but a feature built into existing apps. Netflix and YouTube for Android, for example, have casting built-in. This lets you send content from your smartphone or tablet to a Chromecast dongle plugged into a television. Smaller third-party developers are chomping at the bit to release official Android apps compatible with Chromecast and Google Cast. Currently, the software development kit for Chromecast is under a developer preview and Google warns developers not to release apps with Cast functionality just yet. That hasn't stopped some developers from creating and releasing apps outside of Google Play, with unfortunate side effects. In August, Google caught some flack after a Chromecast developer claimed Google intentionally broke his unofficial Chromecast app. He went on to say he believed Google would prevent smaller third-party developers from creating apps for the video streaming device. Google at the time said it was in the process of producing an official SDK, and as with any development process features get removed and things tend to break. Despite the developer invites being shuffled around now, the company hasn't said when the official Cast development kit will be available or how long it will take before we start seeing broad support for Google Casting inside Android apps. Google's Chromecast may be primarily for consuming content from major video services right now. But once Android developers can build official Cast support into their apps, the Chromecast could become even more interesting.